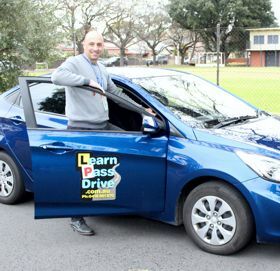 Angelo is a highly experienced, qualified Motor Vehicle Driving Instructor, trained in the latest modern driver training techniques and safe driving methods, with an excellent knowledge of South Australian road law. Angelo is regularly recognised by his clients for his easy to understand approach, clear simple techniques that are easy to remember and his professional, positive training style. All training is carried out a modern, current model, 5-star ANCAP safety-rated vehicle equipped with a passenger side dual brake pedal for the ultimate in safety assurance. Our training vehicle is clean, easy to manoeuvre and air-conditioned for absolute comfort in all weather conditions.